Why does a cylindrical tube play a lower note than a conical tube of the same length? Why is it difficult to play the lowest notes on the saxophone softly? What is the influence of the wall material on wind instruments? 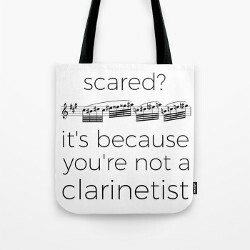 An oboe goes to the octave, a clarinet goes to the fifth. But why? You certainly asked yourself at least one of the questions above. With no accurate answer. Well, you’re going to learn something today because the answers are on Cleonide. Cleonides is the author of a Greek treatise on music theory titled Eisagōgē harmonikē (Introduction to Harmonics). But you won’t need to reed ancient greek to understand how the flute, the saxophone or the clarinet works. 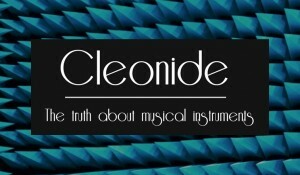 Nowadays Cleonide is a blog written by Pauline Eveno and Thibaut Meurisse. They are both into acoustics. 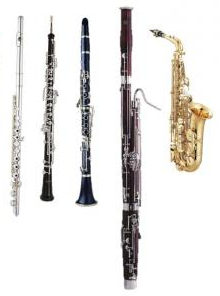 They answer any question about how musical instruments work, especially wind instruments. Some already have been answered, others will be answered soon, and you can send them your own questions! Next Article Watchdog – debut album released!